India should look at the merger between Monsanto and Bayer as an opportunity, not a problem. Bayer AG (Bayer) has merged with Monsanto creating the world’s largest player across the whole agricultural market in the wake of two big tie-ups –Dow-DuPont and ChemChina-Syngenta. While the merger has been approved by competition commissions in markets across the world, including India it has also been met with considerable opposition from environmentalist groups. However, instead of resisting this merger, Indian companies and policymakers should use this opportunity to strengthen the local Indian agricultural market. A study has predicted that the proposed Bayer-Monsanto combination would raise prices for cotton, corn and soyabean seeds by 18.2%, 2.3% and 1.9% respectively in the US. Whether that happens or not, conditions are different in India, where the majority of Indian farmers remain dependent on sowing farm-saved seeds. These will remain unaffected. An exception to this trend is the cotton seed, where Monsanto’s Bt Cotton has seen massive adoption among farmers. However, since the incentives and the marketplace remain identical, there is no reason for a change in ownership to affect the price. There are three sectors where Bayer and Monsanto have overlapping products – non-selective herbicide, agricultural and vegetable seeds. There is global concern that the non-selective herbicide market would be affected by the merger. However, the share of Bayer in in the Indian herbicide market is negligible (<1%) as compared with Monsanto’s 20-25%. Other companies active in the market include Excel (15-20%), Syngenta (5-10%) and UPL (0-5%). Moreover, Bayer is divesting its non-selective herbicide business to BASF, and its India arm BASF India will be taking over the business in India. In the cotton seed business, Monsanto has sold its small branded cottonseed business to Tierra Agrotech, a Hyderabad based company. However, Mahyco Monsanto Biotech (India) (MMB) will continue to sell the Bt Cotton seeds under license to more than 40 Indian seed companies. The Competition Commission of India (CCI) has instructed Bayer to divest the vegetable seed and Monsanto Holdings Pvt Ltd will have to sell its 26% holding in Mahyco Monsanto Biotech India Ltd thus minimizing any overlap of their products. Thus, the merger will leave the market structure and choices unaffected. The unaltered structure will also ensure there is incentive for Bayer to continue innovating new products, another concern being discussed by opponents of the merger. Genetically modified crops are banned or strictly regulated in several markets. In India, the only genetically modified crop approved for use is Monsanto’s Bt cotton. There is a fear that with Bayer’s resources there may be increased lobbying for the approval of other crops. This concern can be overcome by transparent regulation for assessing genetically modified crops, not by banning them. Also, this objection assumes that there is something inherently problematic with GM crops to begin with. That is an ideological objection, not a scientific one and can be addressed through well-defined regulation to alleviate risks that have been traditionally associated with GM. 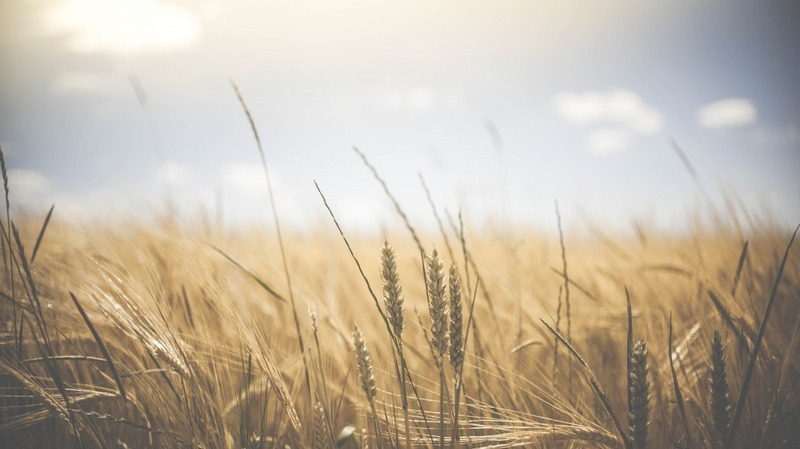 There is concern that as only four companies dominate the world agricultural market, they will control which seeds to design, and thus reduce biodiversity. This criticism both exemplifies the farmer’s preference for branded seed, which lead to better yielding crops, and vilifies the control that companies enjoy on the agricultural output of the country. However, the best way to abate this control is to enable more indigenous competition that will ensure India’s interest in both biodiversity and meeting food demands are safeguarded. Indeed, this merger may be a golden opportunity for policymakers to formulate policies that spur the local seed businesses. With Bayer withdrawing the Monsanto brand name, there is a unique chance for India to review its policies about genetically modified crops. A better redressal mechanism, well-defined regulation and stricter penalties would incentivize companies to experiment with the technology and design crops suited for the local environment. For example, tax breaks for private companies that invest in R&D would incentivize innovation. If a company or a consortium of Indian companies were to buy Bayer’s vegetable seed portfolio, it would expand their business, making them more competitive in the market. In conclusion, the Bayer-Monsanto merger may not significantly alter market structure, but the Indian agricultural sector has much to gain if local seed companies and policymakers can seize this opportunity to enable more indigenous competition. Shambhavi Naik is a Research Analyst at the Technology and Policy Programme, the Takshashila Institution. She has a PhD in Cancer Biology from University of Leicester and has worked as a Post-Doctoral Fellow at the MRC Toxicology Unit, National Centre for Biological Sciences and Institute for Stem Cell Biology and Regenerative Medicine in the past.